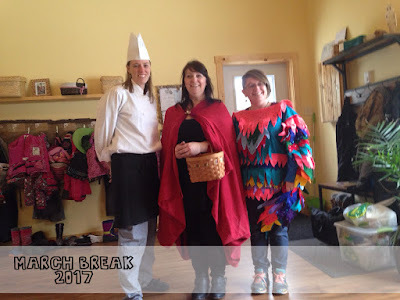 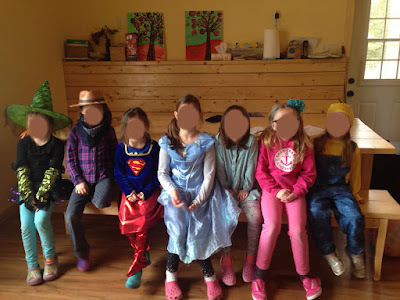 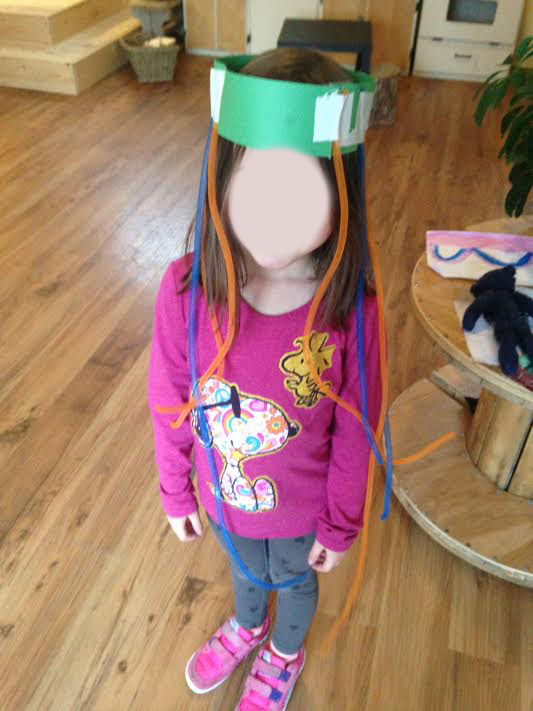 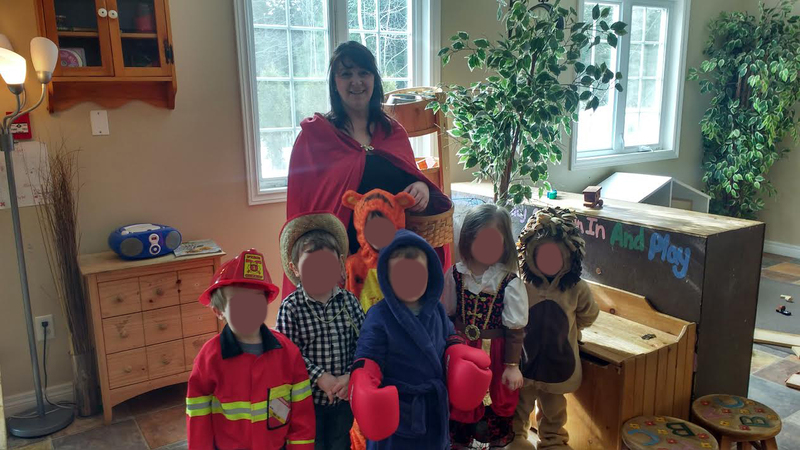 Every March Break we have a week filled with fun activities and themed days for all of the children at Little Munchkins. This year we had Sports Team Day, Costume Day, Wacky Wednesday, Pajama Day and Aloha Friday! 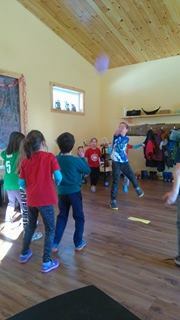 Sports Team Day the children wore their favorite team jerseys and played lots of indoor and outdoor games- the competition was tough! 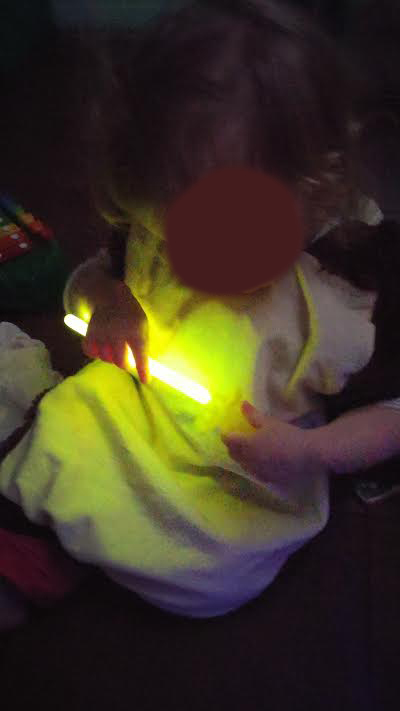 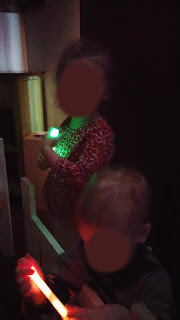 Glow stick fun in the toddler room! 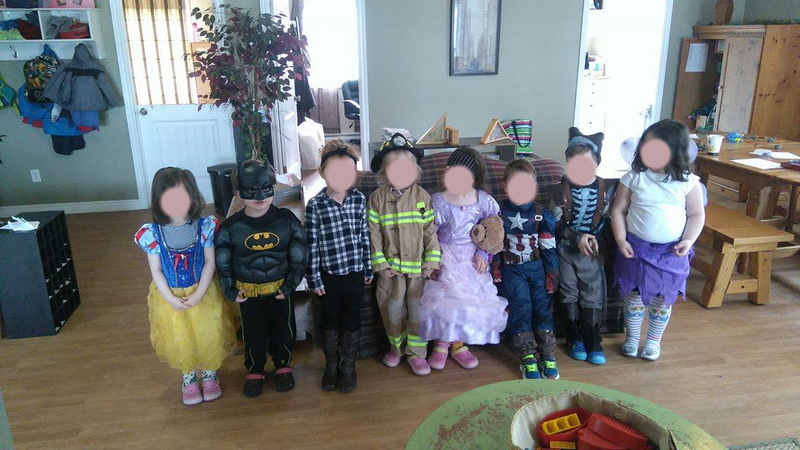 The entire center went full out for costume day! Most of the staff even participated! 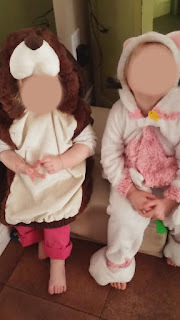 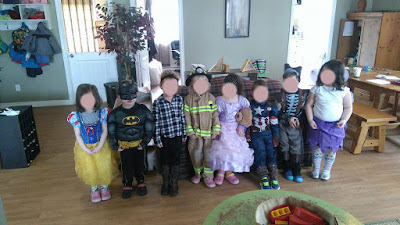 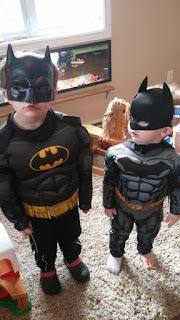 Super heroes, animals, princesses, witches, minions, and more! The after school group enjoyed a game of "musical markers"! Set up plain paper and a few markers in a circle. 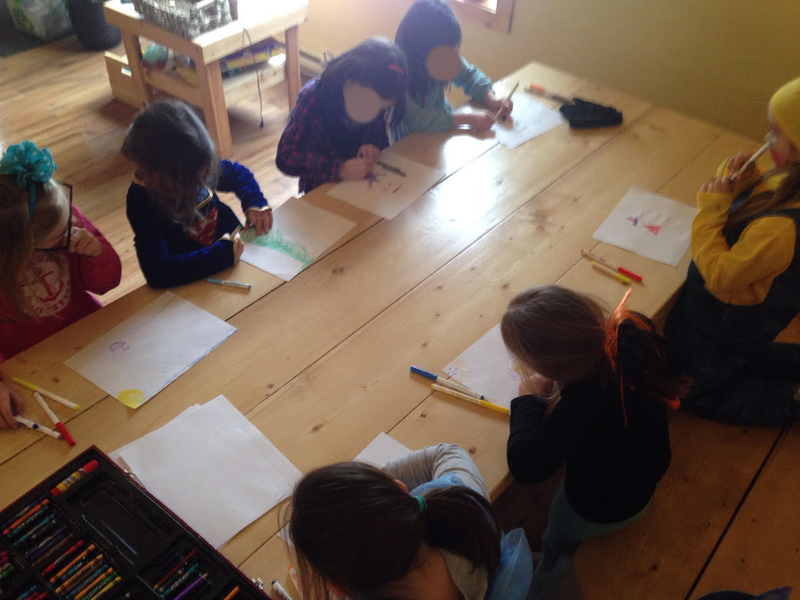 The players begin to draw when the music starts. When the music stops the player must stop drawing and move to the next seat. 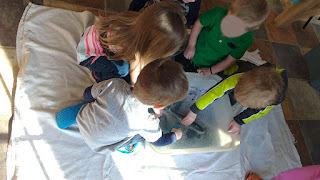 The game ends when every player has gone to each drawing. 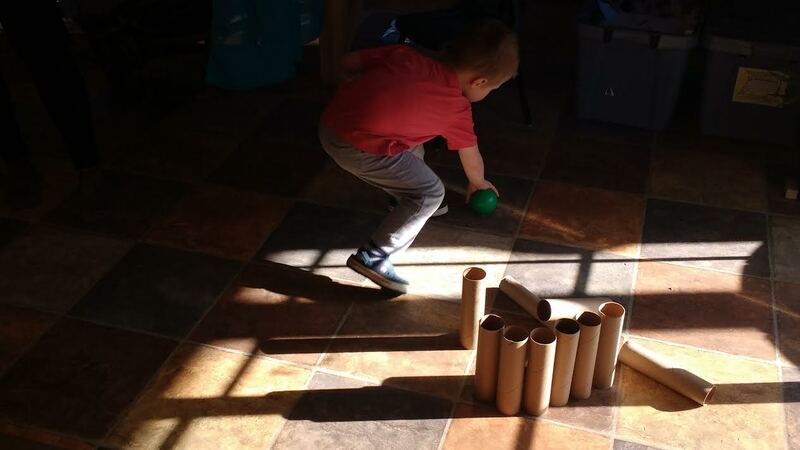 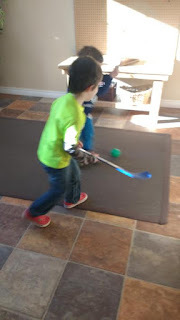 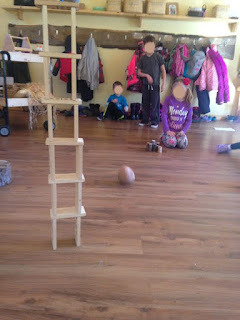 This game is very simple and is a fun one you can try at home! 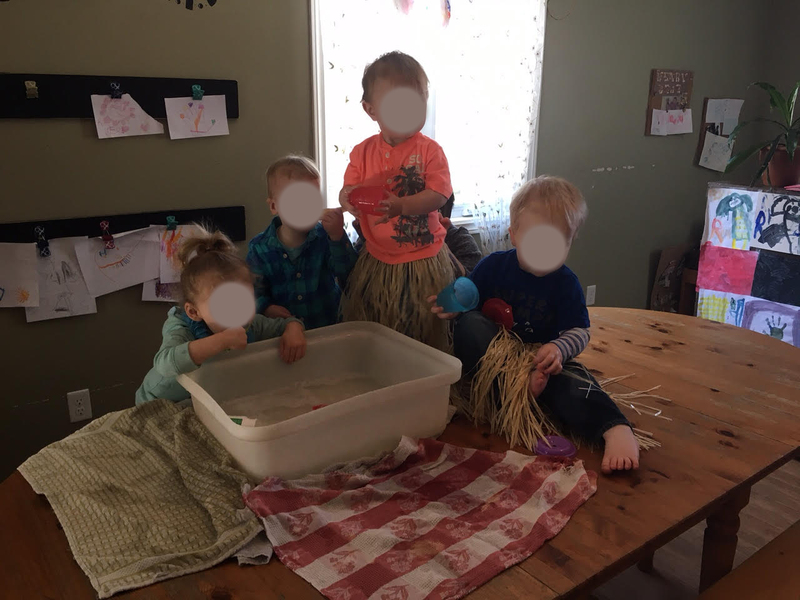 It's fun to see how different people added on to your original picture and even more fun to show off the finish product! 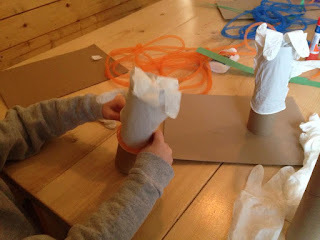 On Wacky Wednesday the after school group made "Wacky Creations!" 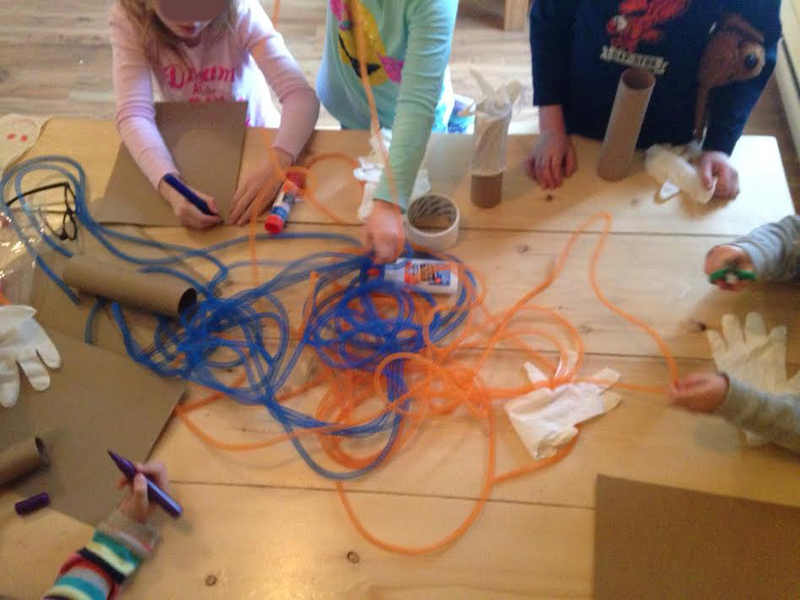 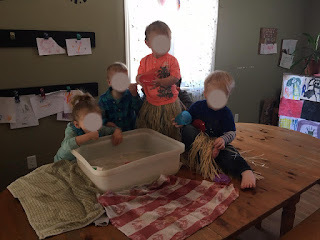 With a table full of random objects they had the ability to let their imaginations run wild. 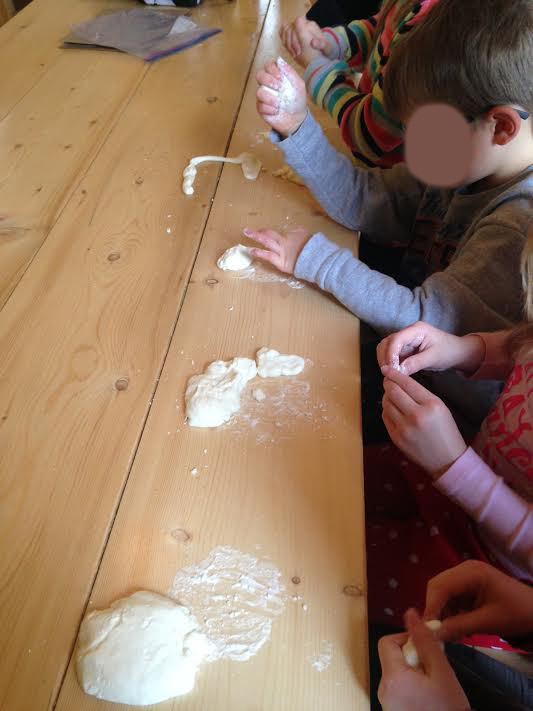 We also made "air clay"! 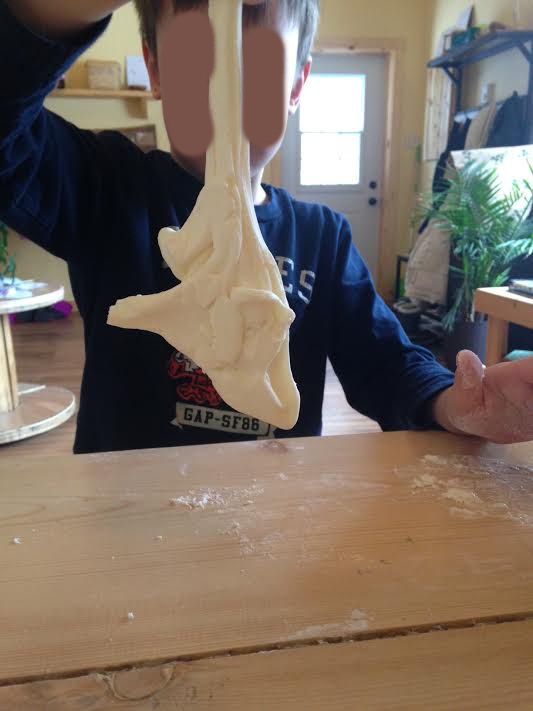 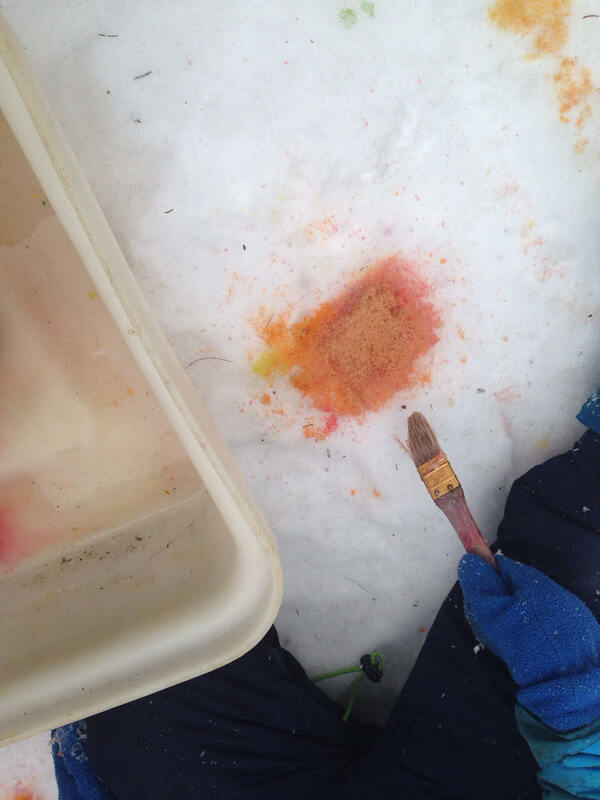 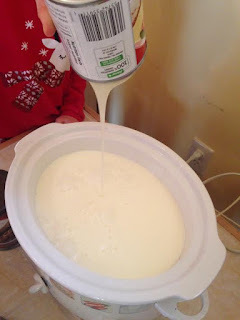 2 Parts corn starch with 1 Part school glue made the perfect mixture to play with. 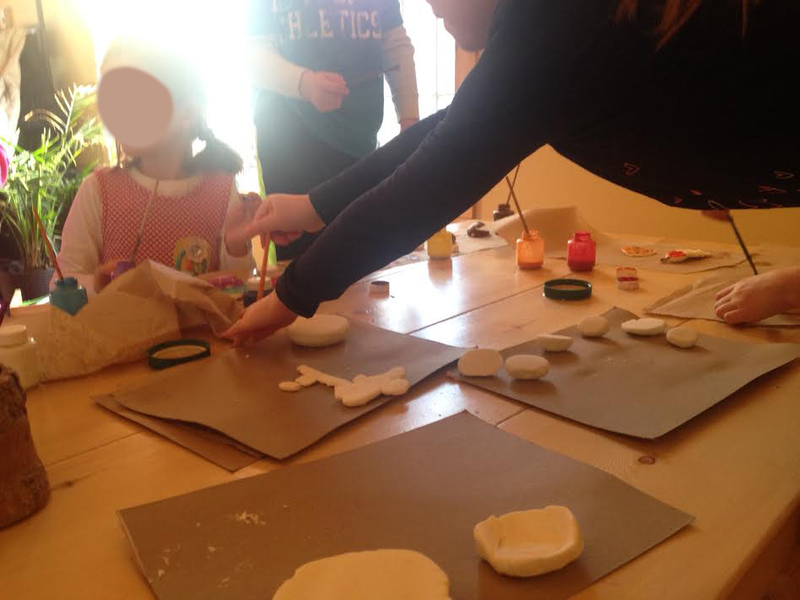 After making a gigantic mess the children eventually created their own pottery pieces and painted them once they were dry. Pajama day is always a must. 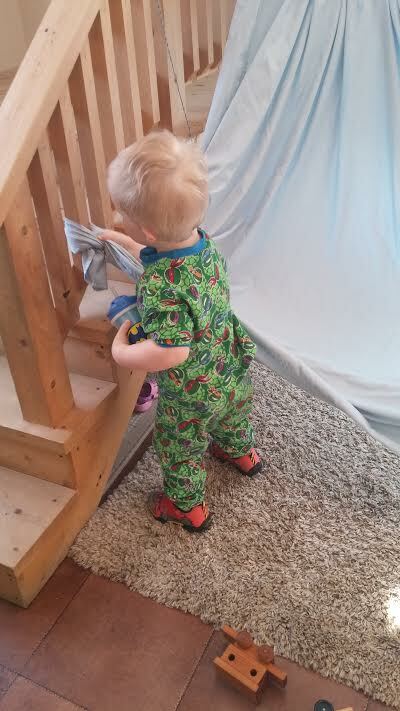 The staff love pajama day as much as the children. What better way to enjoy a "lazy" day then building blanket forts! 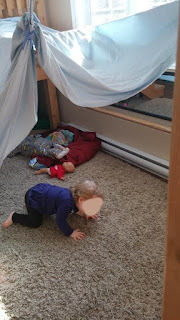 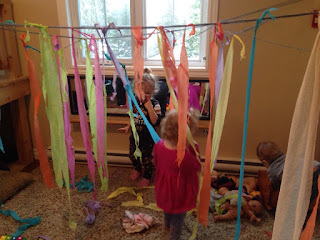 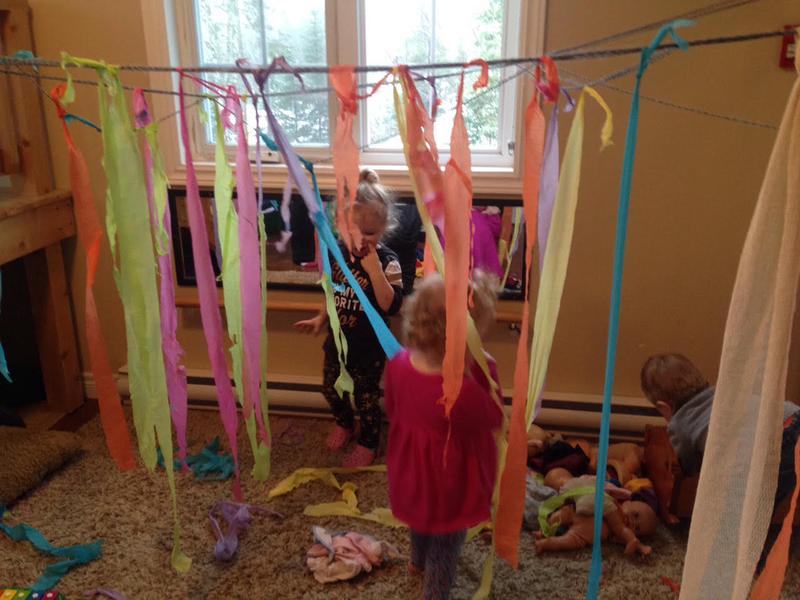 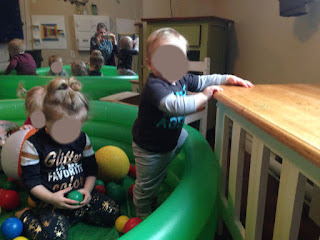 The toddlers had the perfect cozy hangout in their room! 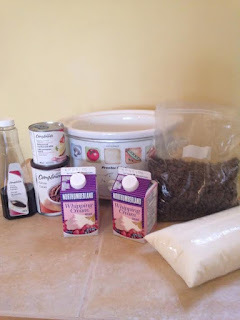 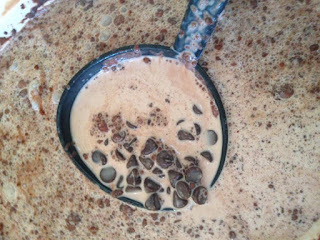 The after school group made a homemade crock pot hot chocolate in the morning so that it would be ready to enjoy for their movie day! 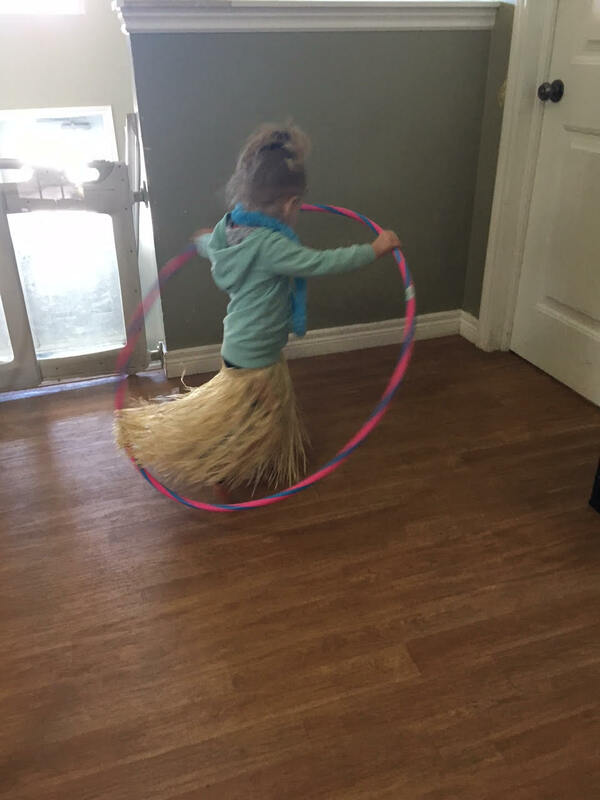 Aloha Friday! 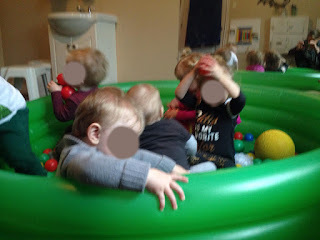 We had a giant pool filled with balls for the kids to "swim" in! 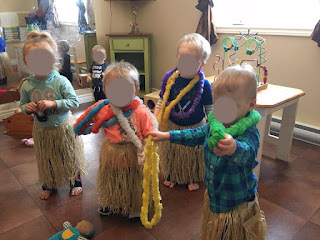 We couldn't go to the beach but we tried to bring a little summer sunshine to us! 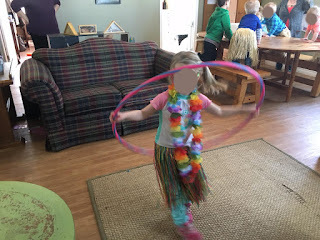 Hula hooping and water play made for a fun morning! 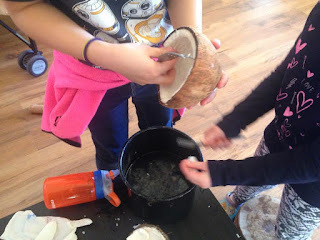 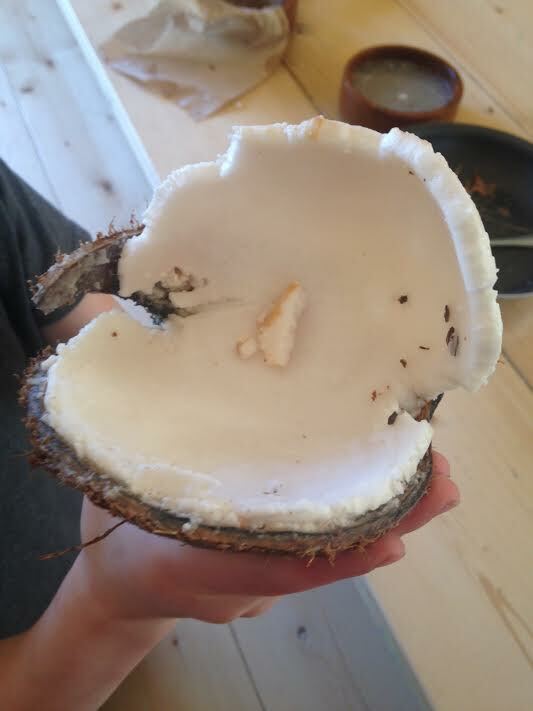 Once the afterschoolers noticed a crack in one of the coconuts it became a mission to crack one completely open and see what was inside; coconut MILK or coconut WATER?! After quite some time and a lot of team work they succeeded and got them open. There is still a debate whether its milk or water inside. It was another successful March Break to put in the books! 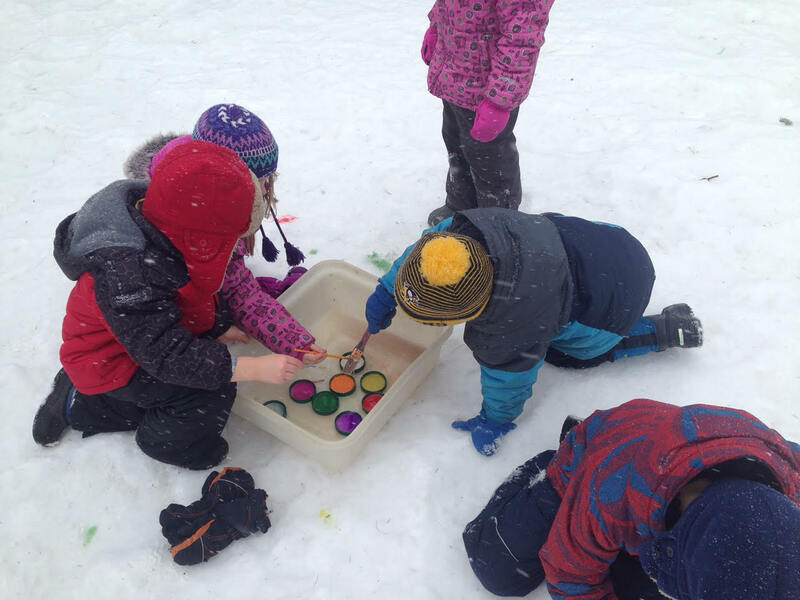 It's always fun to have a "special week" to step out of the normal routine and make the last few weeks of Winter a little more exciting!